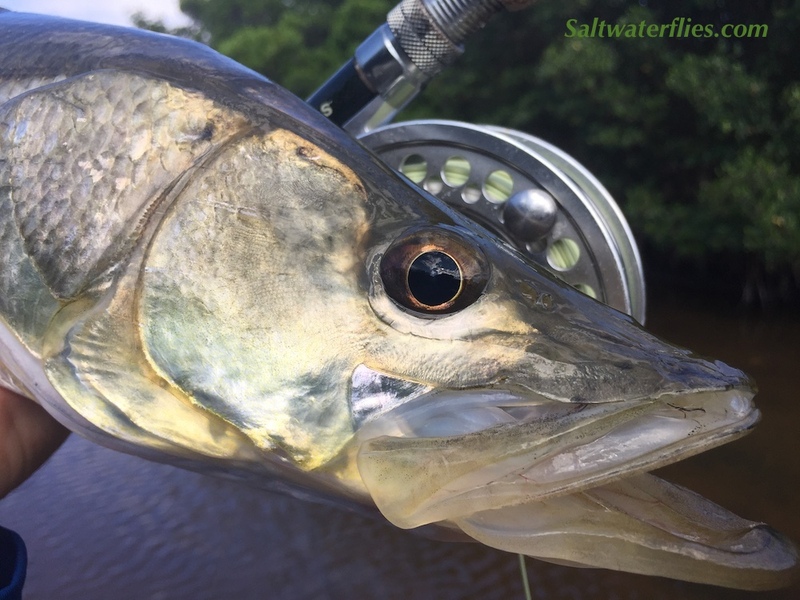 The Snook Shrimp is a tasty treat for all kinds of backcountry fishing - great for snook, redfish, seatrout, tarpon, and more. A useful fly anywhere in the world that fish feed on small-medium sized shrimp, really. This is a slow-sinking pattern with a monofilament weedguard - good for fishing grassy flats, mangrove edges, docks, etc. 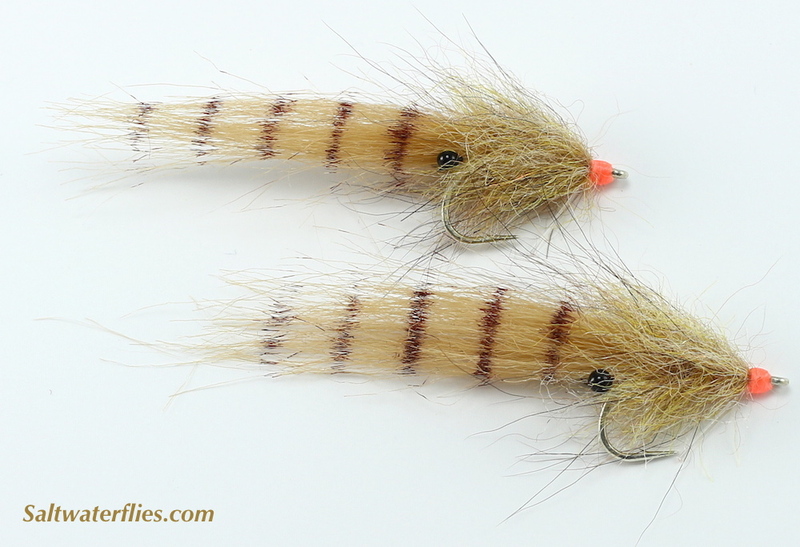 The Snook Shrimp Fly is approx 3 inches (8 cm) long, and tied on size #2 saltwater hooks. Tied by Taylor Topliffe. Snook Slam! Photo by Taylor Topliffe.